Long time supporter of the Dilawan party namely Narco Alcos was arrested around 3:00 P.M. in Dasmarinas, Cavite. News of his involvement in recruiting students to join the rally were linked to him after February 25, 2018 was over. It was reported that rallyists who have had not been paid (and voluntarily surrendered) decided to reveal Alcos' patterns. The Philippine National Police at Cavite headed by Supt. Fernando R. Ortega led the arrest of Alcos. It was reported that Alcos tried to escape with some money that he was paid for to troll others and promote his propaganda. He did not want to share the money with his recruits and was planning to keep it all to himself. He was last seen having some transactions where he was seen selling the now outlawed Marbobo cigarettes to underaged people. It was done by a buy bust operation of the PNP. Recruits of the PNP pretended to be addicts and caught Alcos selling Marbobo. After a long chase from 12:00 noon up to 2:59 P.M. -- they finally arrested him at 3:00 P.M. They caught Alcos watching teleserye at his house (while trying to run away from the cops) which made it too easy to arrest him. During his arrest he wanted to plead innocent and was last seen waving his hands. 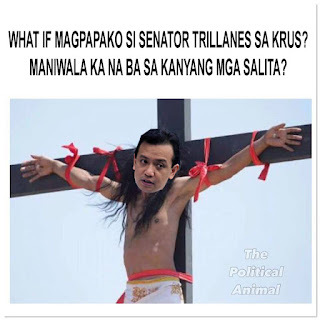 He was still seen swearing that President Duterte will fall down by April 1, 2018. Right now, Alcos is detained in Dasmarinas City Jail. His house was raided and it was discovered he was peddling shabu labeled with "Shabu is harmless ~ Agnes Callamard" to youngsters. Also, it was discovered he was peddling drugs for illegal Chinese in Dasmarinas. 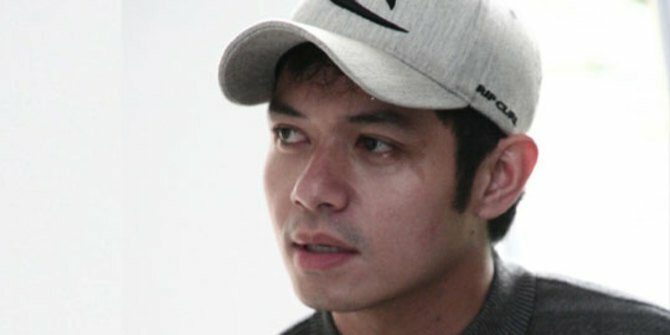 Indonesian movie actor who looks like Alcos namely Dude Harlino is willing to play a movie based on Alcos' arrest should it be filmed.